Fine quality freestanding jade glass plaque in curved design, with mounts for 5in x 7in portrait orientation photograph. Offered with low-cost engraving. These freestanding plaques are made in curved jade glass and feature a bevelled border and framed portrait orientation frame for a 5in x 7in image. They also include a large area suitable for engraving with corporate logos, achievement details, or details of a landmark event such as a christening, graduation, engagement or wedding. They are offered here with low-cost engraving of text and logos. 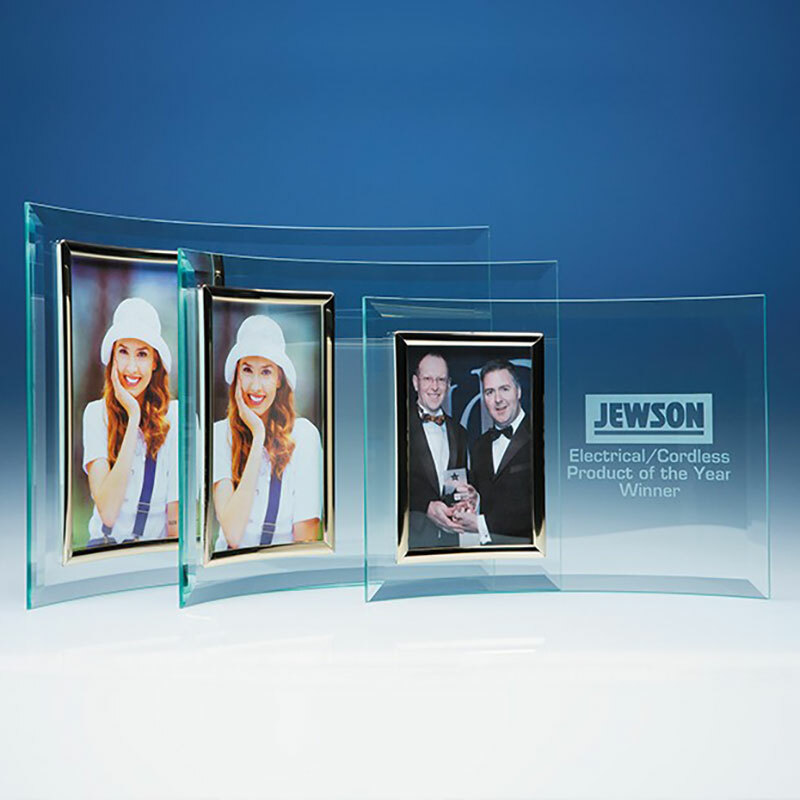 Each frame is supplied in an attractive white presentation carton.